We are a little obsessed with Halloween over at our house. Ok, well, I am a little obsessed with Halloween and force my family to humor me. This year I decided that the plastic pumpkin buckets were just not going to cut it. I found black tote bags in the crafting department of Walmart for a couple bucks each and grabbed 3. 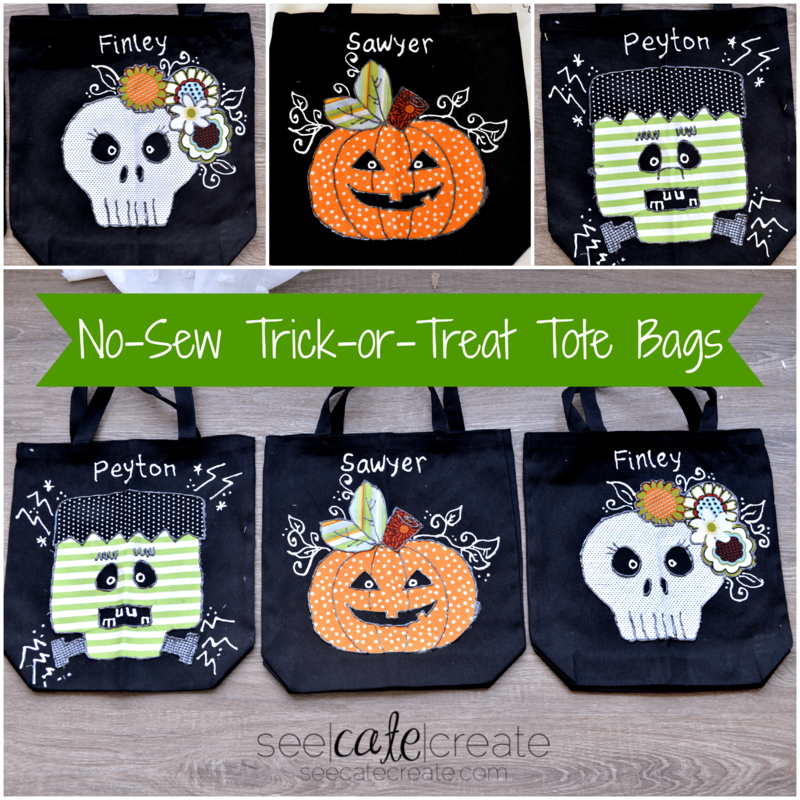 I came home and rifled through my scrap fabric bin and came up with a game plan to create No-Sew DIY Trick or Treat Tote Bags for each of the kiddos. 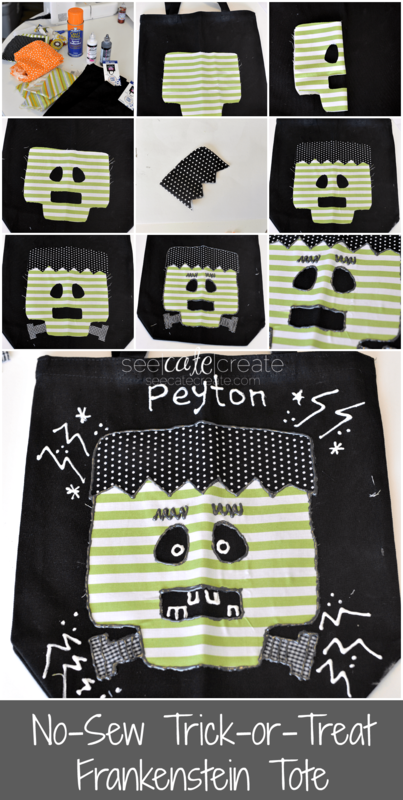 These are Easy DIY Halloween Bags that can be made with minimal effort and time. My kind of project for sure. Cut out your fabric pieces as shown in the images below. Attach the fabric pieces to the tote bag by spraying the back sides with a thin coat of adhesive spray. Do this is a well ventilated area on a covered surface. 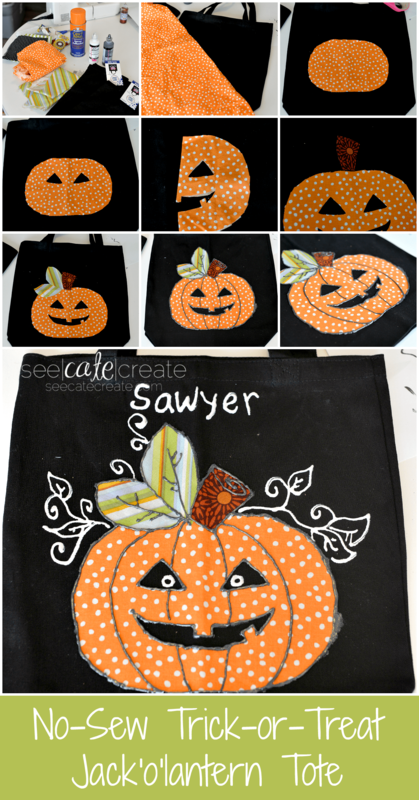 Use the black puffy paint to outline the raw edges of your design. This will add nice detail as well as ensure that the applique will stay in place. 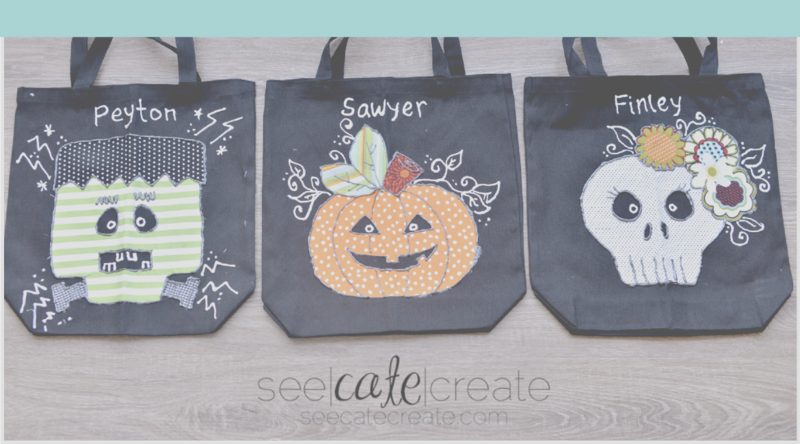 Use the white puffy paint to create fun details and write a name along the top of the tote.